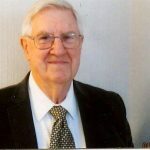 R. Thomas Heinhorst, 78, of Mahomet passed away at Carle Foundation Hospital in Urbana on April 11, 2019. He was born on March 29, 1941 the son of Ralph E. and Alberta Thomas Heinhorst in Peoria, Illinois. He was raised on a farm on Rural Route near Forest City, Illinois in Mason County. A visitation will be held in Tom’s honor at Morgan Memorial Home located in Savoy on Sunday, April 14, 2019 from 2:00 p.m. until 5:00 p.m. A funeral service will follow at 5:00 p.m. Pastor David Johnson will be officiating. Another visitation will take place at Hurley Funeral Home located in Mason City on Monday, April 15, 2019 from 11:00 a.m. until 1:00 p.m. A funeral service will follow at 1:00 p.m. He will be laid to rest at Mason City Cemetery next to his late wife, Peg. He is survived by his wife, Martha Heinhorst, of Mahomet; children, Julie Boyd of Champaign, Jodi Heinhorst of Vancouver, Jason Heinhorst of Denver, Jennifer Heinhorst of Champaign; grandchildren, Cecilia, Jared, Allyson, Joelle; and sister, Sue Meisner and brother-in-law, Johnie Meisner of Forest City. He is preceded in death by his first wife, Peggy J. Bailey, and his parents. Tom began his primary education at the one-room Red Oak school and then graduated from Easton Community High School in Easton, Illinois. He then received his Bachelor of Science Degree from the University of Illinois College of Agriculture in January of 1960. He continued his education at the National graduate Trust School at Northwestern University in 1984 graduating with Highest Honors. Tom was a life-long learner and immediately upon retirement began taking 2-3 Olliclasses at the University of Illinois. He was a walking encyclopedia; the original Google. With an ironclad memory, history, geography and genealogy were some of his favorite topics. He began his employment on January 27, 1964 as a farm manager and rural appraiser. He earned his Accredited Rural Appraiser Title in 1970. He became as the Vice President and Trust Officer of the Champaign National Bank in February of 1979. He was named the head of the Champaign National Bank Farm Department as vice president and trust officer. He held that position with BankIllinois and Main Street Bank & Trust. He wrapped up his 46 yearlong professional career at Busey Bank in March of 2010 as the Senior Vice President of Ag Services. He was President of the Estate Planning Council of Eastern Illinois from 1987-1988, Treasurer of the Champaign County Fourth of July Freedom Celebration Inc. from 1973-1986 and was the President of the Champaign-Urbana Jaycees from 1972-1973. He was awarded the JCI senatorship by Champaign-Urbana Jaycees in June of 1976. He earned the Accredited Farm Manager (AFM) Designation from the American Society of Farm Managers and Rural Appraisers in 1969 at Ames, Iowa. He also earned the Accreditor Rural Appraiser (ARA) Designation from the American Society of Farm Managers and Rural Appraisers in 1970 at Lexington, Kentucky. He was a member of the Estate Planning Council of Eastern Illinois, the American Society of Farm Managers and Rural Appraisers, and the Champaign Chamber of Commerce. He received recognition from the American Society of Professional Farm Managers and Rural Appraisers for his 50-year membership. He was a member of the University Place Christian Church where he was a past elder, deacon, and trustee in the church. He currently attended the Mahomet Christian Church. Memorial Contributions made be made to the University Place Christian Church or the Mahomet Christian Church. Thank goodness for men like Tom Heinhorst. Tom was a gentleman, a professional, a student, a servant, a friend. I am very thankful that Tom and I crossed paths. Uncle Tom was a wonderful example of God, Family, Work and his life exhibited that....he will be missed..
A real gentleman, a great client during his working career and most of all a friend. We will miss Tom. I didn't meet him often, due to the distance, but everytime I learnt something new from him. Through anecdotes and stories he could always pass on precious information and wise suggestions. I will always remember the sense of discipline he emanated: a man to whom weakness was unknown. Farewell Tom, and thank you. Jason, l am very sorry to learn about your father's passing. I have shared the information with Brock.